To be live streamed on YouTube and Periscope. 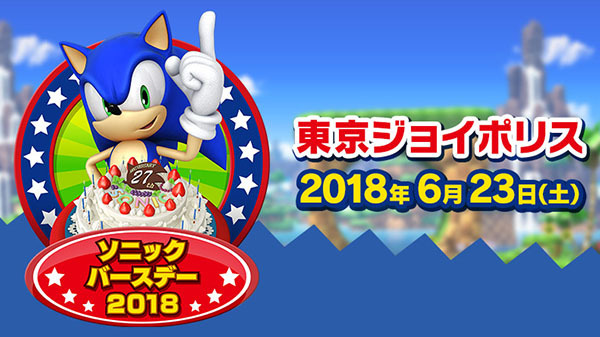 Sega will host Sonic Birthday 2018 at Tokyo Joypolis on June 23, the company announced. During a stage event at the celebration, Sonic series producer Takashi Iizuka will share information on Sonic Mania Plus, as well as latest Sonic title(s). Various goods will also be sold, and all sorts of events are planned. Details about those events will be announced at a later date. Sonic Birthday 2018 will be live streamed on YouTube and Periscope.